How a game could be such a large part of someone's life is understandable but when it's Chess some might wonder. It all started when as a pupil at Ellis Avenue School in Leicester I came under the influence of an Austrian English teacher. I might add along with about 100 others. 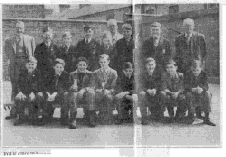 The school catered for 11 to 16 year olds and in 1954 was classed as an Intermediate School. This was for those not up to grammar school status but above the secondary schools. There was a 5th year for those wanting to stay on for GCE's but most left at 15. Each school year had a chess team and there was a chess club every lunch time. 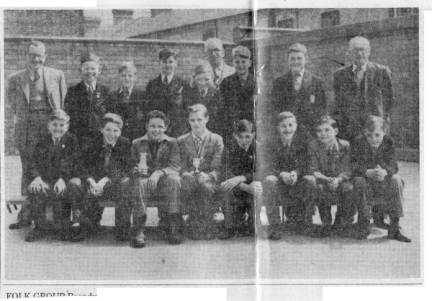 In the 1950's it was the most successful school for chess in Leicester and was awarded the British Chess Federation Shield for chess excellence during this period. All due to Mr Illesley. As important as the children were the mums who provided sandwiches for the many matches against other Leicester Schools. In four years our team hardly lost a match and we were invited into the Grammar School League (under 18's) when in our 5th year. This was a lot harder but we at least gave our older opponents a run for their money. Whilst studying for my GCE's I was playing in the evening league with several friends for an Old Boys team and also entered a Leicestershire Schools Chess Congress at Alderman Newton's School during the Easter holiday. This was split into groups of 6 players and at the end of a week all the group winners received a medal and played in a simultaneous game against a top player.